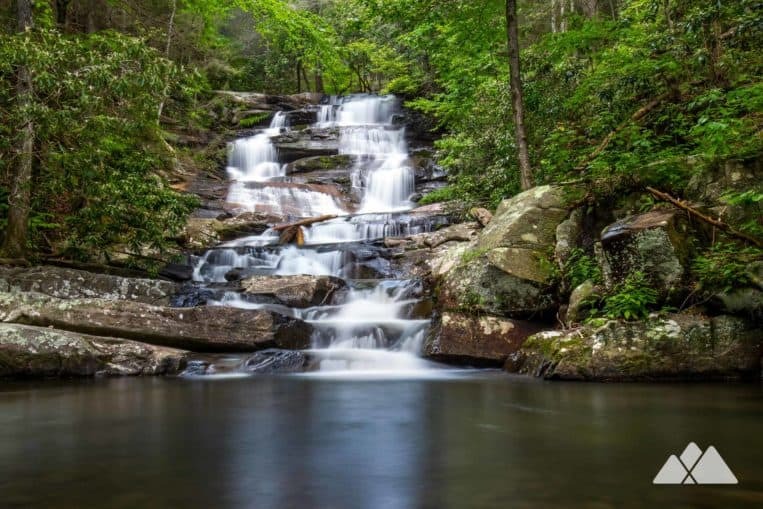 Nestled in northwest Georgia, this trail follows lushly forested creek banks to a pair of stunning, beautiful, remote waterfalls. 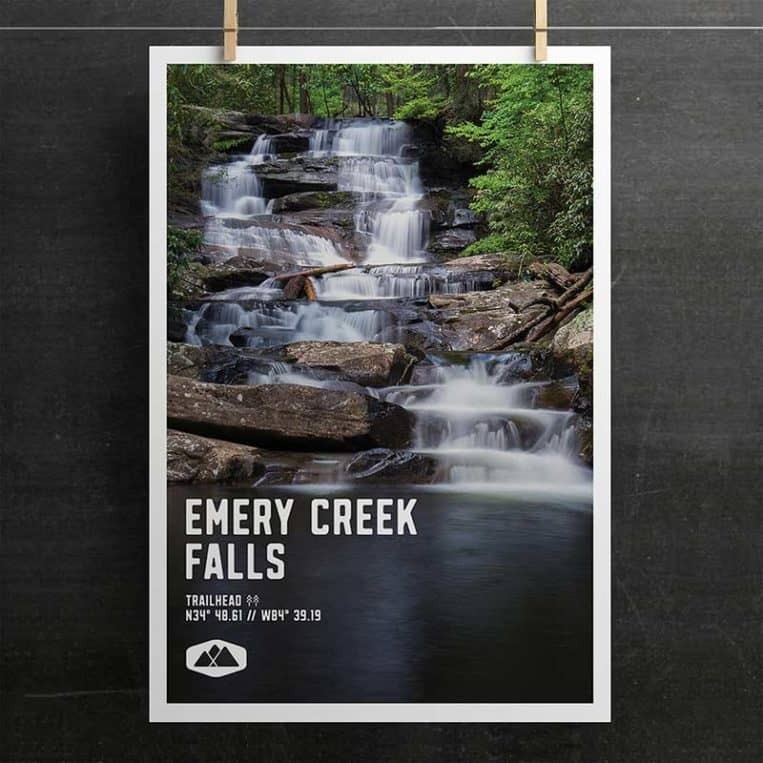 The trail is a refreshing, water-filled adventure, and especially fun in Georgia’s sweltering summer months: along its scenic length, the trail splashes through 20 creek crossings to the tumbling cascades of Emery Creek Falls. The remote waterfalls on this trail are well worth the hike, but the trail requires some patience and experience to follow the seldom-marked trail and cross the creek’s slippery beds. 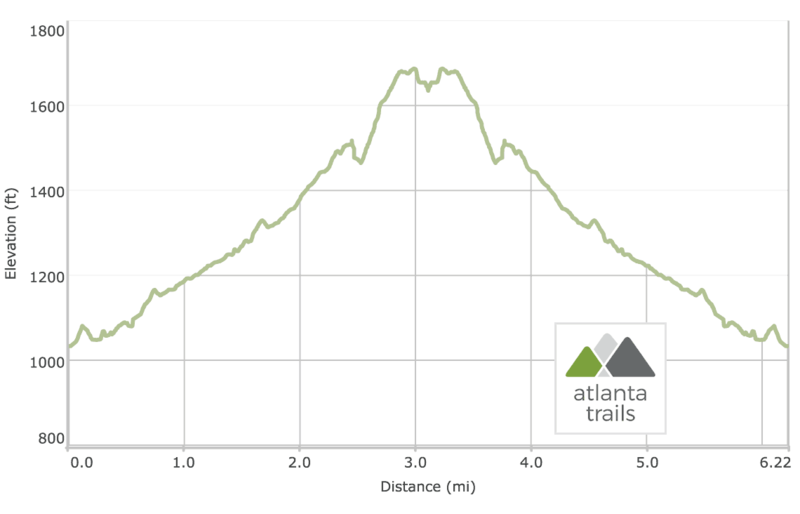 While we don’t recommend this trail to novice hikers, it’s one of our Georgia favorites – and can be a fun adventure for experienced hikers. The adventure begins at a trailhead off a graveled forest road (view maps and driving directions) near Chatsworth, Georgia. The trail follows a ridge along Holly Creek, catching glimpses of waterfalls and whitewater on the trail’s left far below. The hike reaches the convergence of Emery Creek and Holly Creek at .3 mile, the first, and often most difficult, of many creek crossings on the hike. 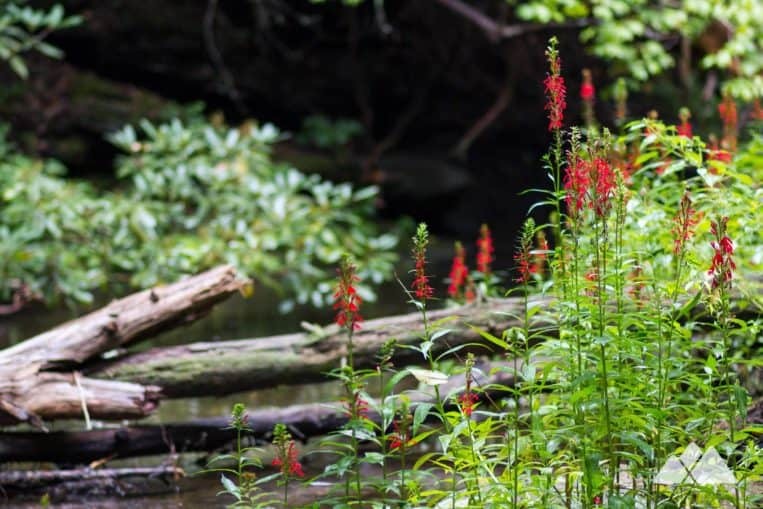 The trail dives deeper into a lush deciduous forest filled with vibrant green moss, ferns, wildflowers, and mushrooms. The trail playfully winds through the forest, following and then crossing Emery Creek at .5 mile, .9 mile, and 1.1 miles. The hike arcs north at 1.2 miles, passing several trailside campsites and reaching the site of an old homestead, where the skeletons of several antique trucks sit rusting in the green, damp forest. The trail crosses the creek again at 1.4 miles, reaching and turning right to follow an old road bed. 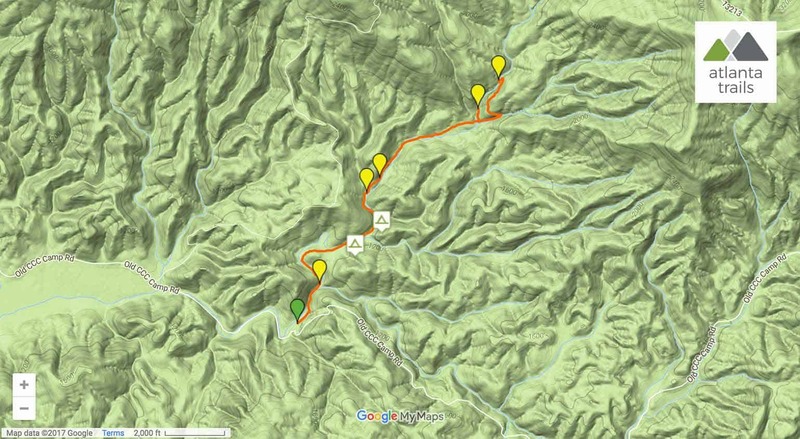 The trail crosses a wide tributary creek at 1.45 miles before departing the road bed and turning right on a green-blazed trail at 1.55 miles. The trail crosses the creek again at 1.85 miles and 1.95 miles, crossing the boulder-strewn creek bed lined with smoothly worn pebbles. The trail makes a final crossing at 2.3 miles before reaching a signed intersection, turning left to hike a short spur trail to the lower falls. The waterfall plummets over two massive granite outcrops, tumbling into a calm pool of water below. The hike departs the lower falls, retracing its steps on the lower falls spur to the main trail, and reaching the main trail, turns left. The hike treks eastbound, gaining elevation and carving through a sharp switchback before arcing northbound toward the upper Emery Creek Falls. A side trail departs the left at 3 miles, dropping elevation for a view of the double cascades of the upper waterfall. While these waterfalls aren’t the tallest in Georgia, they’re some of the most remote and serene. Their remote location and relatively difficult access keep the falls secluded from many hikers. And the splashy, wet adventure to the falls makes the hike a fun summertime adventure. 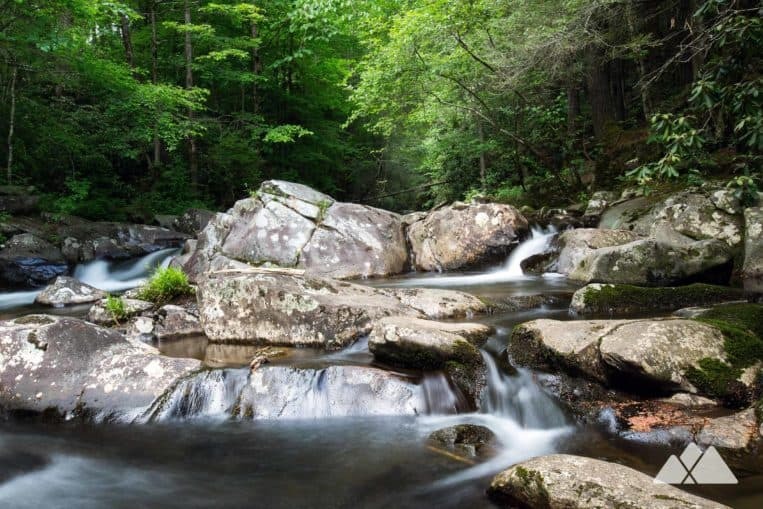 Take a picnic to enjoy below the waterfalls, and enjoy the quiet of the southern Cohutta Wilderness. Departing the upper waterfall, the hike retraces its outbound route to the trailhead, reaching the hike’s end at just over six miles. The trail passes several established campsites on the hike to to the waterfalls (see the trail map for campsite locations). Camping is free and first-come, first-camp – so backpack early to grab the best spots. Pack out everything you pack in, and please leave no trace to help preserve the natural beauty of this fantastic trail. Because this area is so remote, challenging, and the trails are sometimes sporadically blazed or not marked at all, always tell someone where you’re going and pack an official paper map and wayfinding essentials, such as a GPS and compass (and know how to use them if you’re lost). Always pack emergency essentials. It’s always best to avoid trails along the rivers and creeks in the weeks following a heavy rain. Slippery rocks and fast moving water can be extremely dangerous! Please don’t climb, stand on, swim near, or jump from any waterfall. Up for some more ultra-scenic adventures in this stunning stretch of North Georgia? 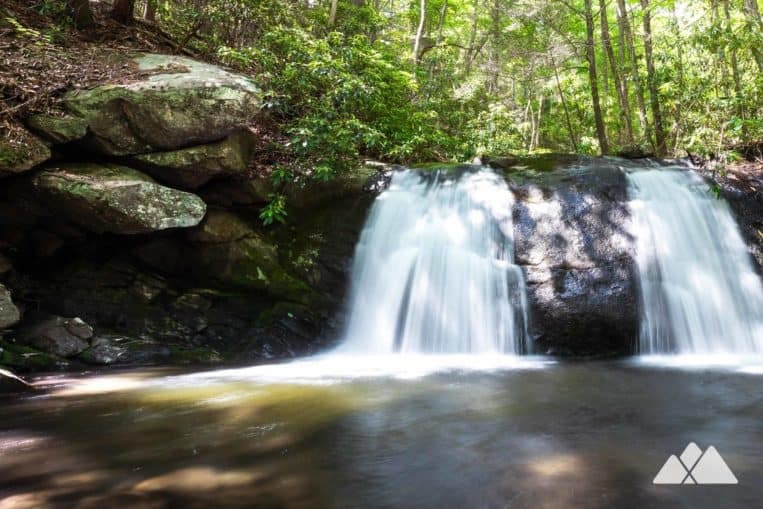 Check out our favorite hikes to waterfalls near Blue Ridge, Georgia. Or find a great local hike near you with our Georgia waterfalls map, featuring over fifty of our favorite hikes to falls in our state. Free parking is available at the Emery Creek trailhead. Trailhead access is via a gravel Forest Service Road.